Tredethick is one of BFB's most popular locations and draws families back year after year. 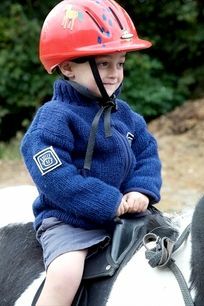 It's the kind of place that is as exciting and enthralling for little ones as it is relaxing and indulgent for parents. 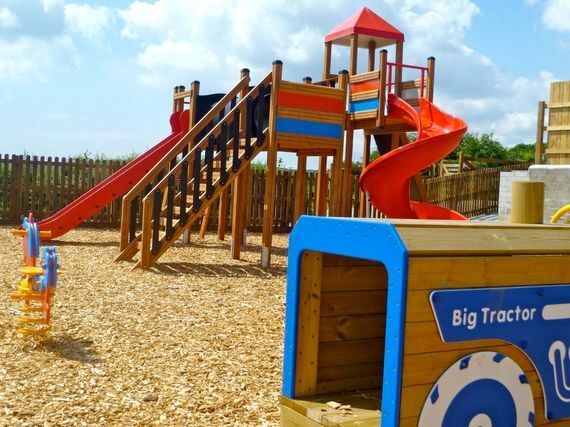 Designed for families, at Tredethick, no matter the weather, guest ages or personalities, indoors or out, there's always plenty to keep everyone happy and occupied. From animals to feed, ponies to ride, places to play, a pool to discover, new places and new friends to see and make, all in beautiful, secluded, Cornish countryside. It is a little bit of family heaven! 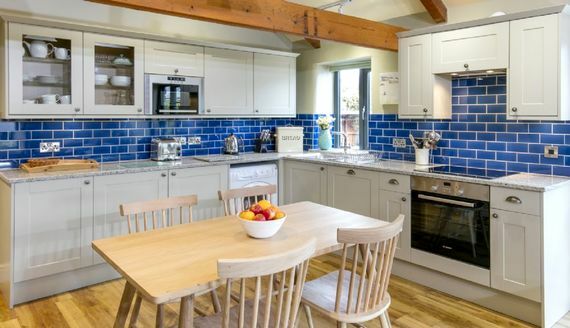 All eight country/contemporary-style cottages are within a minute’s walk of the family-friendly indoor pool, soft play (with daily newspapers and Lavazza coffee for the grown ups), play park and games room with huge sandpit, table tennis and pool table. 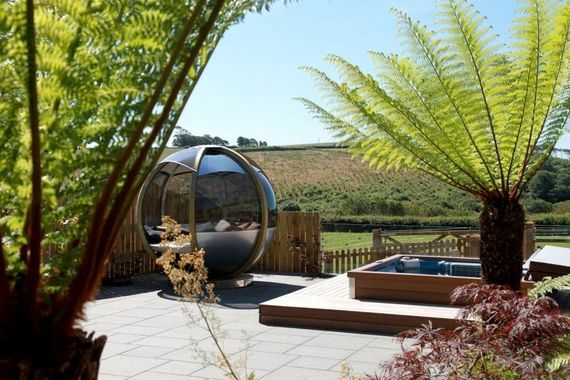 There’s a luxurious hot tub garden for parents seeking peace and an idyllic farm trail threading through woodland and fields to the Fowey river estuary. 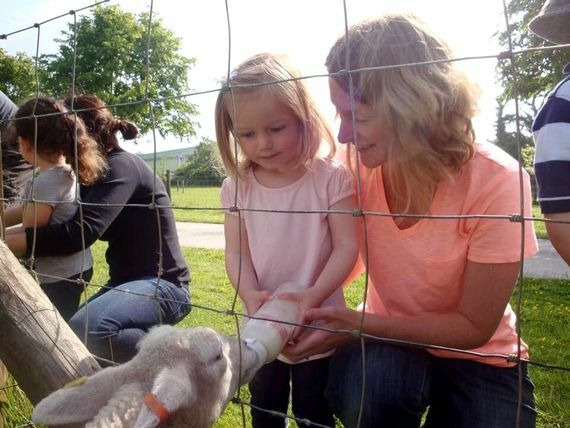 For little ones, animal feeding is usually the highlight of the day. 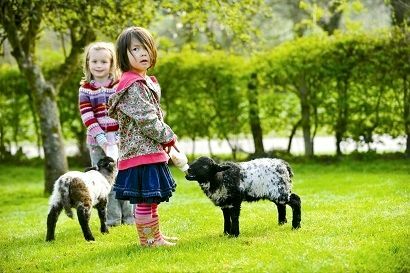 Lifelong memories are made with lambs to bottle feed, ponies to ride, eggs to collect, goats to stroke and pigs, alpacas, rabbits and more. Dairy sleeps 4 in a double and a large twin. One of the first things guests notice about the Dairy is the Cornish stone fire place with a wood burning stove. The open plan kitchen living area has a high beamed ceiling and enjoys the best of the sun in the morning. 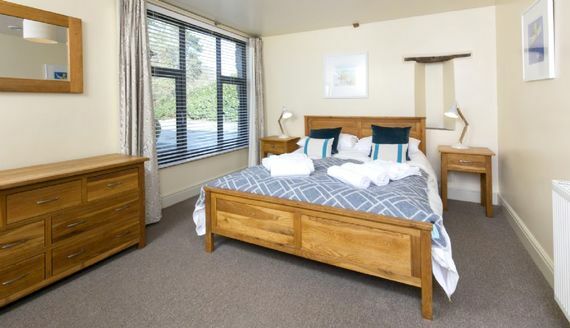 The wide hallway leads to a spacious double bedroom with a 5ft light oak bed, large twin bedroom and a generous bathroom with a bath and a separate power shower. The courtyard is accessed from the hallway, and the garden area catches the sun for most of the day. All the heating and hot water for the cottages and pool complex is via a new Biomass boiler fuelled by Elephant grass, which is grown on site. Also a wind turbine supplies much of the electricity. 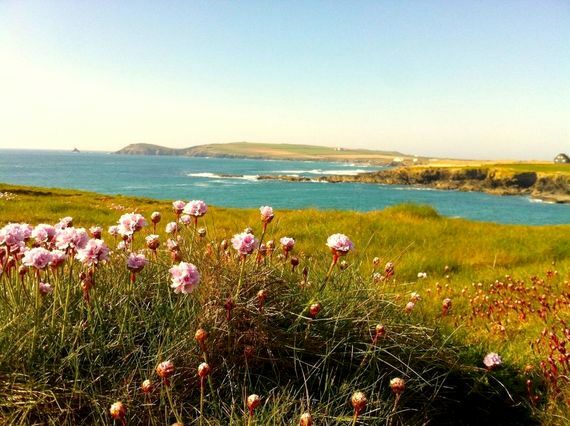 The scenic coastal town of Fowey, recently voted the third most aspirational place to live in the UK, is just 15 minutes drive, whilst the riverside town of Lostwithiel, with its good selection of eateries and specialist shops, is only a mile away. 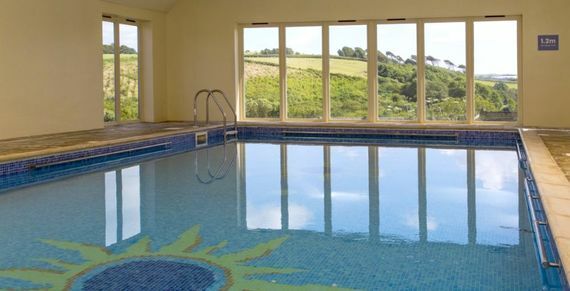 Alternatively, a scenic farm trail leads from the cottages along the banks of the River Fowey to the creek side village of Lerryn and a great family friendly pub for meals out. The owners are fonts of knowledge on the best beaches and attractions for young families. Please note: Bedding is not provided with cots other that the mattress cover sheet. The lovely indoor heated (30 degrees) pool has handy Roman style steps, ideal for easing little ones in or sitting and splashing with babies. Cottages come complete with good quality wooden cots, baby baths, highchairs, stairgates, plastic childrens crockery and cutlery. Plus, bed guards & black out blinds available free on request. 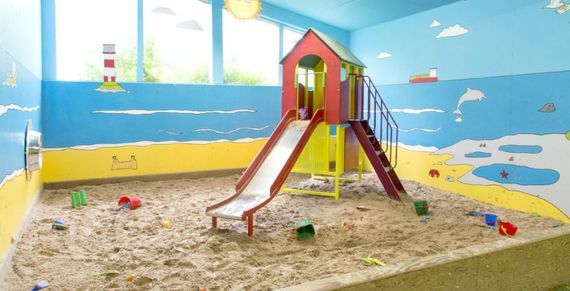 There's a communal playbarn with huge indoor sandpit and toys on site. Also, the soft play room. 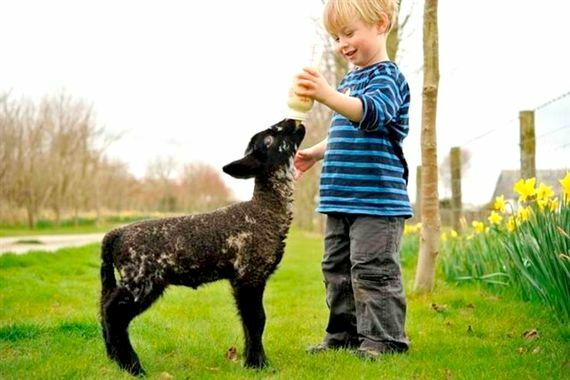 A small farm shop stocks local produce such as organic ice-cream and homemade frozen meals. There's a shed full of ride-on toys from tractors to scooters available on free loan, plus a timber adventure play area and trampoline. 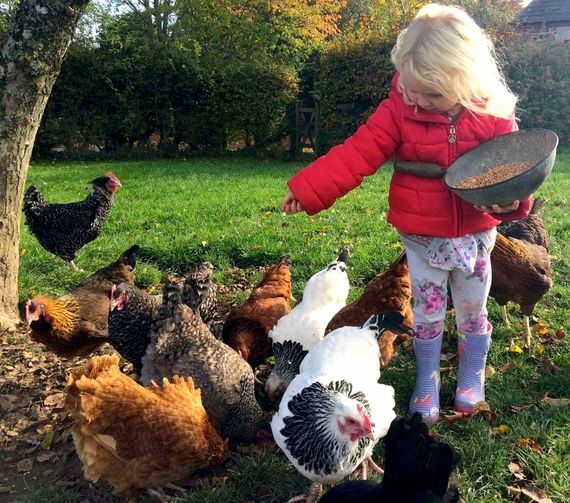 The star attraction for all kids and many adults are the daily feeding and egg collecting rounds, as well as twice-weekly pony rides. 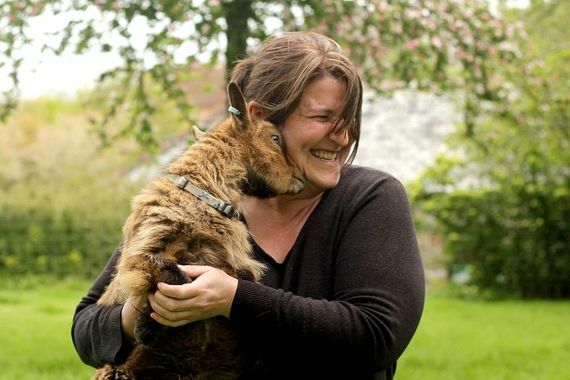 Don't miss out on feeding the goats, sheep, pigs and chickens. 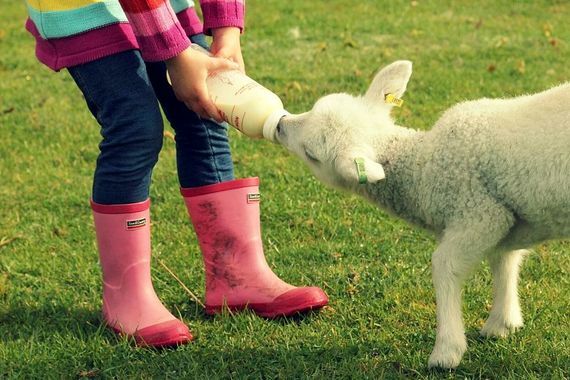 Best of all, bottle feeding the lambs! 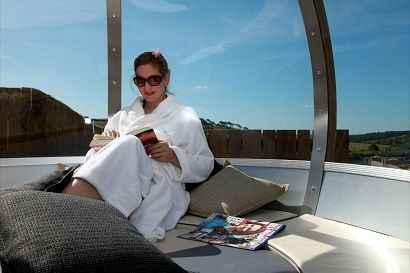 The adults relaxation garden is home to an indulgent hot tub. 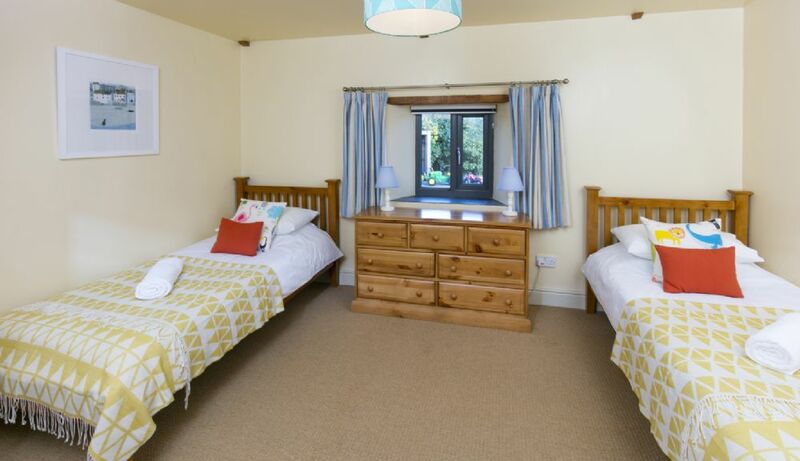 Tredethick is a lovely place to stay with young kids. We were very happy to find it. The weather wasn't great but that did not matter much for our 4 year old because of the soft play area and indoor pool nod indoor sandpit. The daily feeding of the animals was a lot of fun and farmer Jenny was very good at including all the kids. Our son does not want to take of the rosette he got after his pony ride. A definite highlight of his stay. It is a super kids friendly place and therefore also for the parents. The cottage Dairy is lovely and I liked the set up where the private terraces joined but were closed off so the younger kids savely could roam around. We will come back. We were looking for a treat for a wedding anniversary and looking far afield at villas in the med. But we went for Tredethick on the basis that if your children are happy you are happy - and we're really glad we did. Hard to fault - our 3 year old bounced between animal feeding, the soft play room (amazing), the pool, the pod, the hot tub, the trampoline, the play park, the play barn and pedalling a tractor or scooting around the place. With this many activities he was never bored, and the soft play room was great for our 10 month old. We only left once in four days - to a beautiful beach - but were very happy enjoying everything so close. Highly recommend it, especially for a holiday when the weather's still cold for little kids. Fantastic location to holiday with a young family. 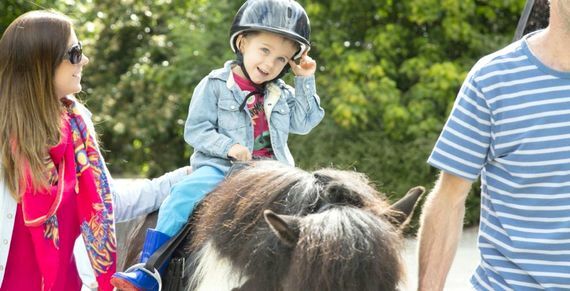 Really friendly hosts and great fun for the kids with the daily animal feeding, pony rides, soft play and swimming pool on site. Would recommend to others and would definitely visit again. A blissfully picturesque and perfectly safe environment for young children to explore, play and develop as they experience farm and beach life. Our two active under-3s had a wonderful time & we all made friends. Booked for next year already. Excellent facilities for small children & parents alike. 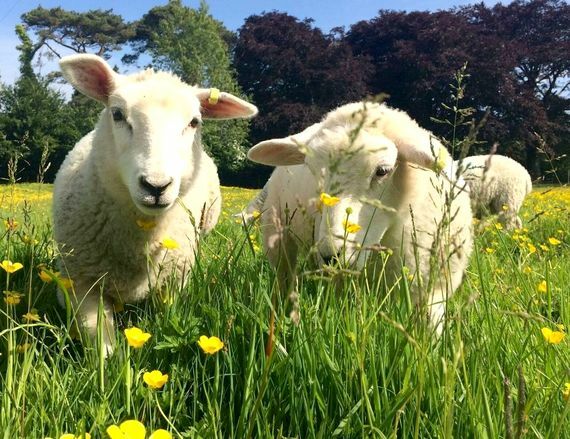 Springtime at the farm, we loved it! 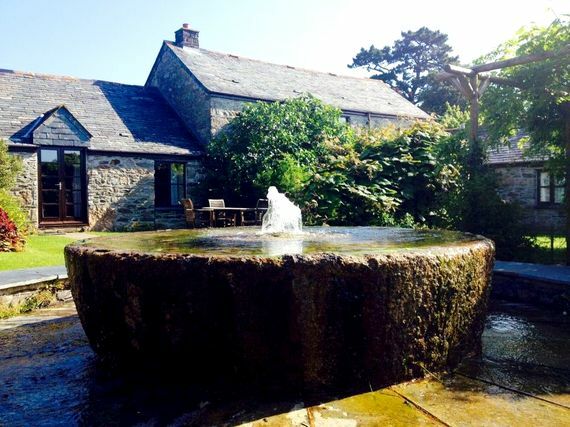 We were in love with the Tredethick Farm from the moment we arrived. The Dairy cottage was so pretty, clean, with wooden floors and a fire place. The rooms were bright and spacious. There was even a welcoming present waiting for us and we received a warm welcome from the owners as well. We had a very good weather so most of the time during the day we spent away from the farm but it was so useful to have two indoor play areas (large softplay room with climbing frame, slide, ball pool and the barn with toys) as well as swimming pool, outdoor playground, ride-on toys and lots of space for walking and running. All facilities were in a very good condition and never busy (since there are several of them but only families from nine cottages that use them, apart from swimming pool that can be used by members but we never encountered anyone there). Our 2.5 year old son loved the choice of play spaces and the freedom which he had since the farm is very safe. The morning lamb bottle feeding, egg collecting and especially pony rides were his treats as well. 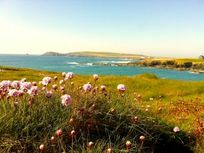 Cornwall does not need advertising but I wanted to say that there were many places to visit within one hour (ideal for a nap) or less drive (and many were listed in a folder available in our cottage together with directions, maps, restaurant and shop reviews, etc). We all felt very happy and we rested very well there. 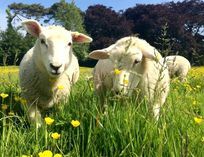 i wanted to add that we were staying at the farm during the term time so we met people with young children similar age to our son. 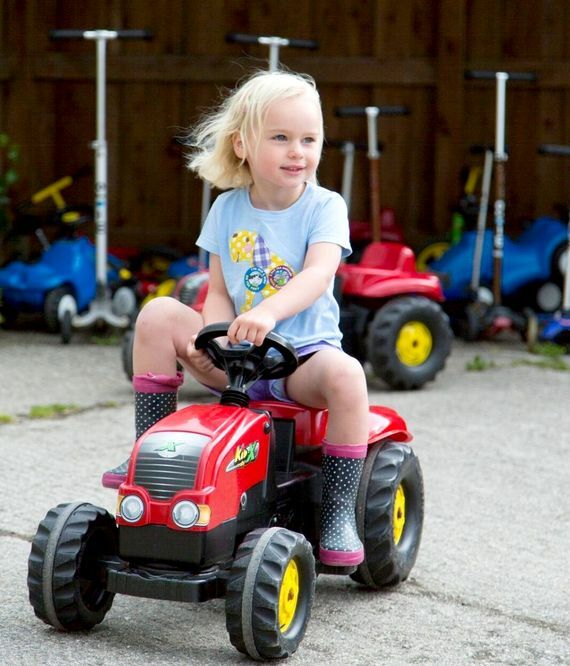 After a week in dairy cottage, we returned relaxed, happy and a toddler brimming with excitement. 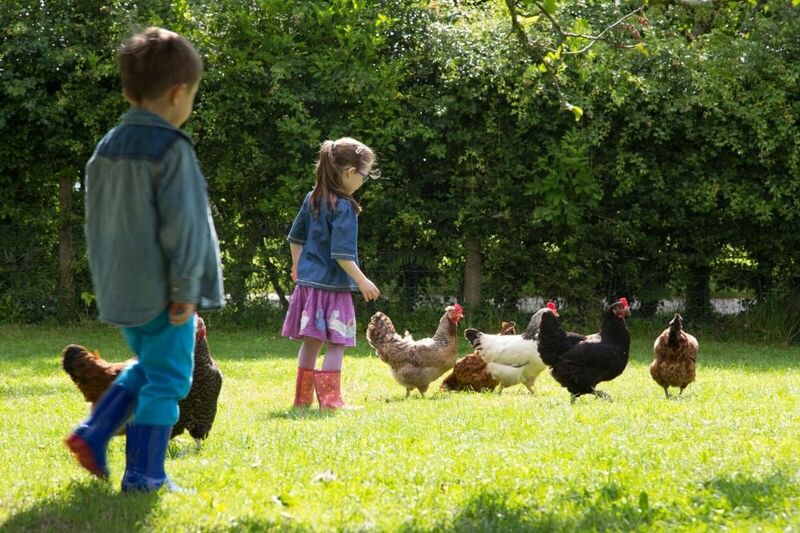 Such a wonderful week, Farmer Tim and Farmer Jenny were wonderful with the children and it was lovely to see our shy toddlers confidence grow. 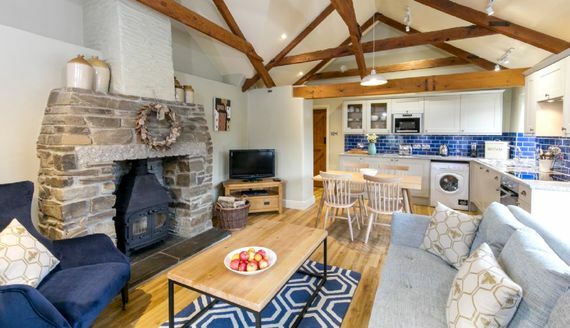 Dairy cottage was open plan and great for childern as well as directly opposite the playbarn! Beautiful location too, cant wait to go back! Tim made us feel really welcome. Facilities amazing - brand new, clean, modern. Farm animals very patient. Local area beautiful. Thank you card sent to Tim as soon as we got back - v impressed! 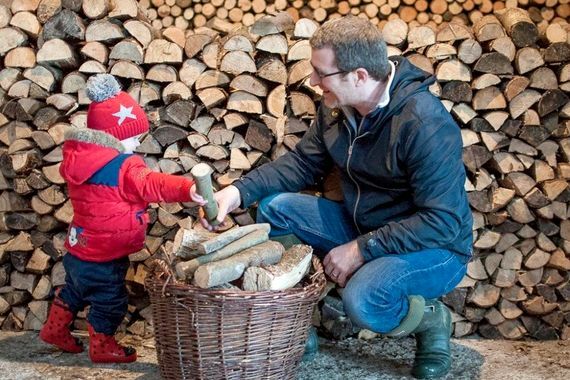 After reading the reviews, Tredethick Farm had a lot to live up to - and it exceeded my expectations. My 18-month-old daughter adored feeding the animals with Farmer Tim and the indoor soft play area was a big hit. Even though we had some rain during our stay, there was lots to do within easy reach of the farm, and a file of useful information, OS maps, and even infant back carriers were provided. The cottage was well equipped and cosy. 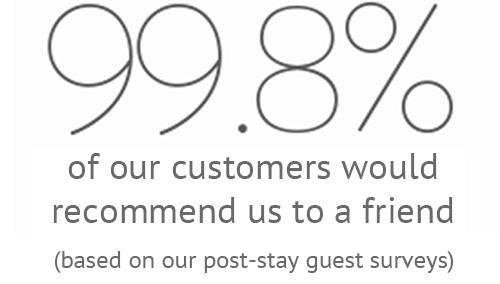 We will definitely be booking another stay. 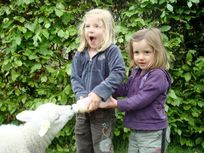 My daughter had such a great time that we were really relaxed too: I'd thoroughly recommend this.